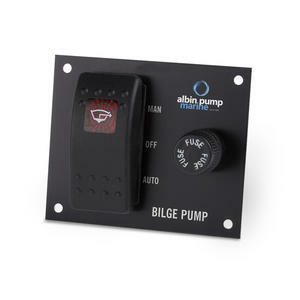 Three- positions switch bilge pump control panel 24V. Manual, automatic or off. The automatic feature operates in combination with automatic bilge level switches or automatic bilge pumps. Integrated fuse holder, fuse and operating light.